Cada año, más de 400.000 migrantes centro-americanos cruzan la frontera sur de México en su intento de llegar a Estados Unidos. La situación precaria, en lo económico y lo social, en sus países (Guatemala, Honduras, El Salvador…) representa el estímulo de un flujo imparable hacia la “tierra prometida” norteamericana. 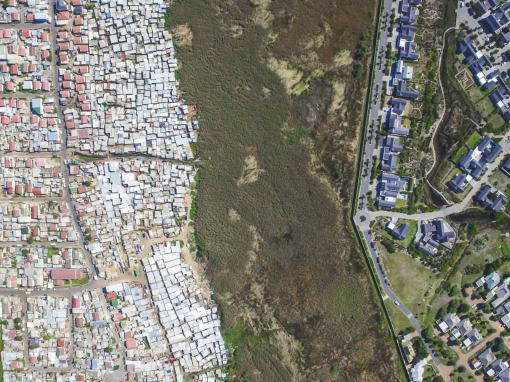 Cada día, centenares de ellos dejan sus orígenes, sus pueblos y ciudades, sus países, con la esperanza de tener una oportunidad en USA que les permita vivir dignamente a ellos y sus familias. 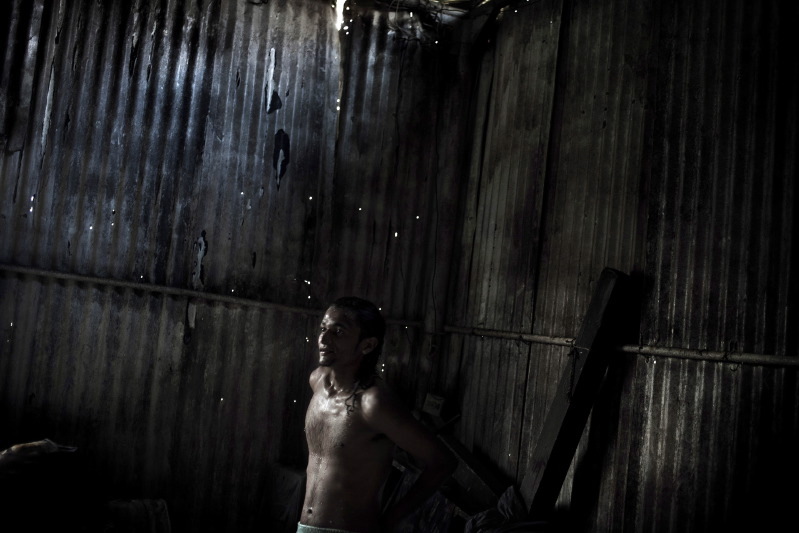 Pero este viaje a través del territorio mexicano hasta llegar a su frontera norte, se hace en unas condiciones de invisibilidad y clandestinidad que les deja expuestos a los riesgos que supone la actividad del crimen organizado mexicano y a las luchas de éste por el dominio del territorio y por el control de la propia migración clandestina. 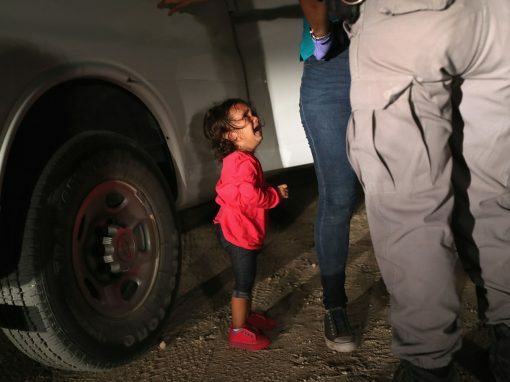 Según la Organización Mundial de Derechos Humanos, sólo en 2012, se calcula que fueron secuestrados en México 11.000 migrantes centro-americanos, debido a la extorsión, la prostitución, la violencia o la dación de niños y niñas a familias norteamericanas sin hijos, todo ello con la connivencia de autoridades corruptas y de los carteles del narcotráfico mexicanos. 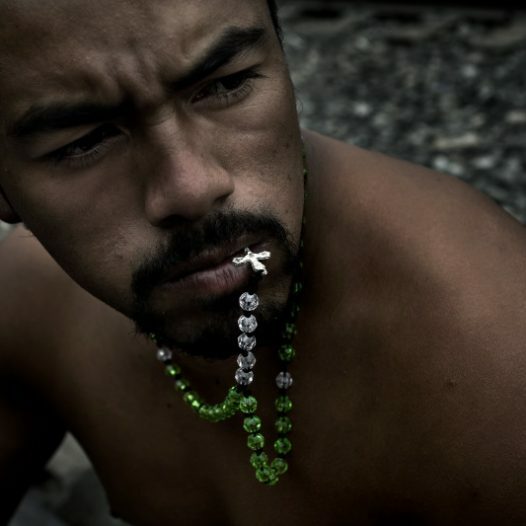 La serie Dark Passage de Fabio Cuttica (Roma.1973, fotógrafo documentalista que trabaja en Tijuana, México) se centra en los migrantes que usan los trenes, especialmente el llamado “La Bestia”, que recorren el territorio mexicano de sur a norte hasta la frontera con USA y representa una tenue luz en una realidad oscura, silenciada, inhumana e insoportable que acontece día a día, sin cesar, sin fin. 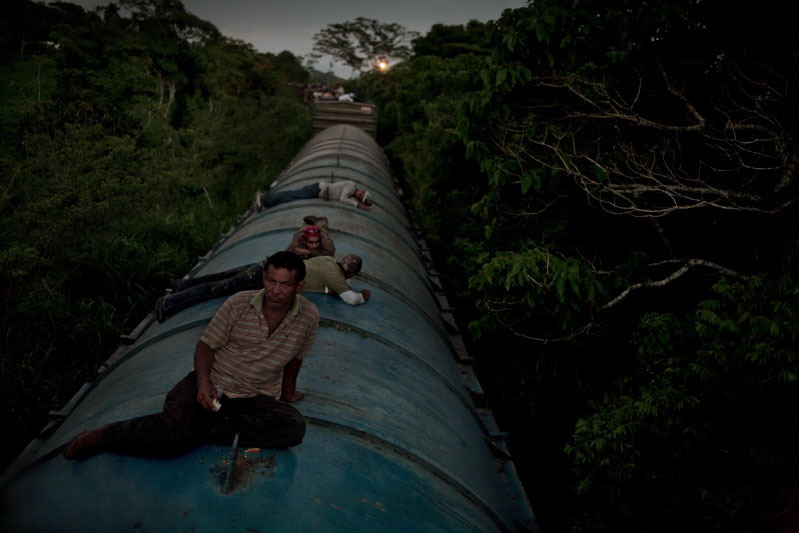 Chiapas,Mexico April 2011 Every day, thousands of people travel through Mexico without legal permission as irregular migrants and travel on the roof of freight trains risking their life to reach as soon as possible the border with United States and try to cross it. 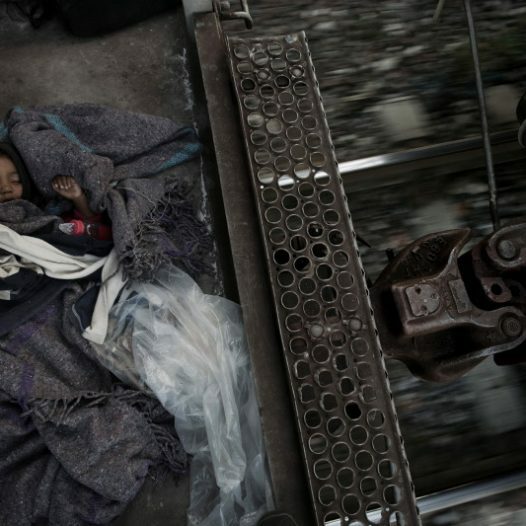 A couple of migrants following the dead tracks of the railway line to reach the small city of Arriaga and catch the first train to the North. 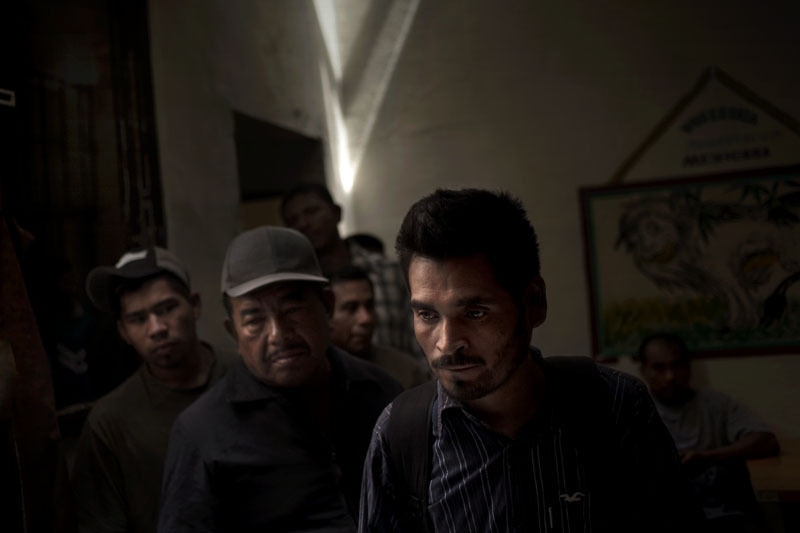 Dark Passage is a project about the long and difficult odissey that thousands of migrants face in the Mexican territory, in their attempt to reach the United States. Mexico - Baja California-Mexicali2011 A group of; immigrants deported from the USA arrive in the "; Migrant Hotel".In the border city of Mexicali; there is an abbandoned hotel; that a group of activist and voluntiers trasformed in a shelter and refuge for immigrants deported from the USA. 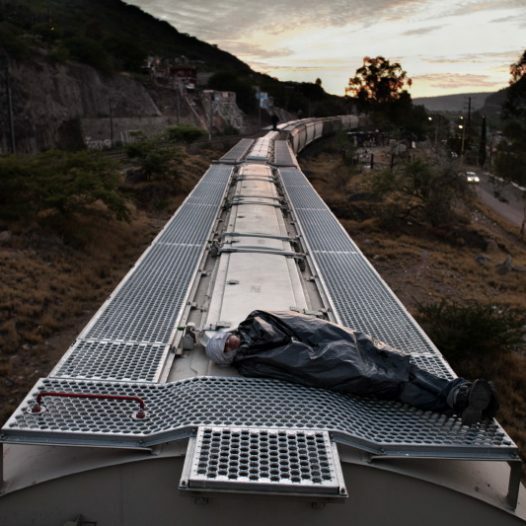 Dark Passage is a project about the long and difficult odissey that thousands of migrants face in the Mexican territory, in their attempt to reach the United States. 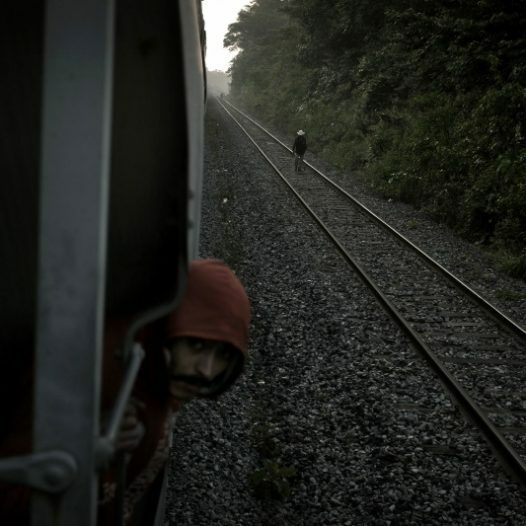 Tierra Blanca-Veracruz,Mexico 2012 A migrant during an unexpected stop of the train on which it travels, look forward thinking in some danger. 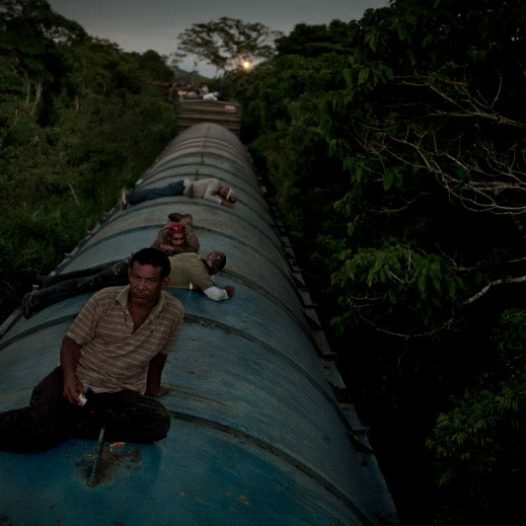 Each year, about 400,000 migrants use freight trains to travel from the south of Mexico to the northern border with the United States. 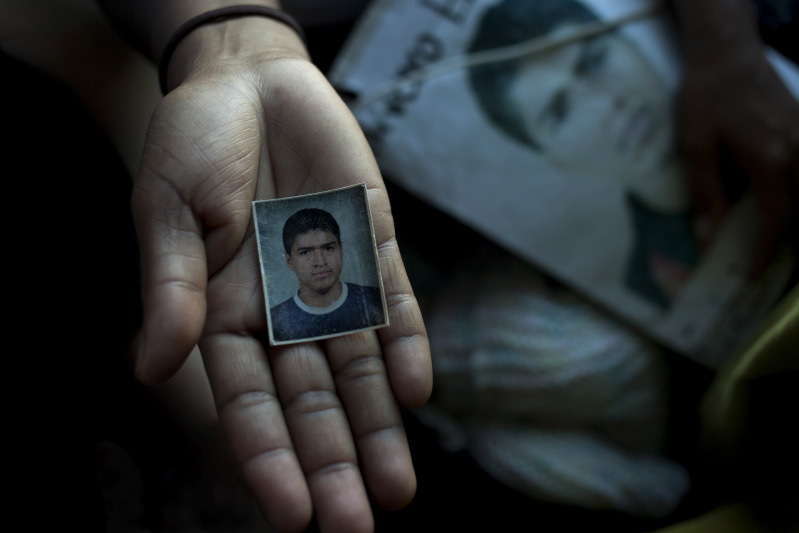 Mexico, October 2012 Caravan of Central-American mothers looking for desaparecidos, migrants who disappeared during the transit through Mexico A mother from Nicaragua shows a photo of his son disappaered in Mexico Since 2006, at the beginning of the fight against the drug cartels, the risks for migrants crossing the Mexican territory have increased. 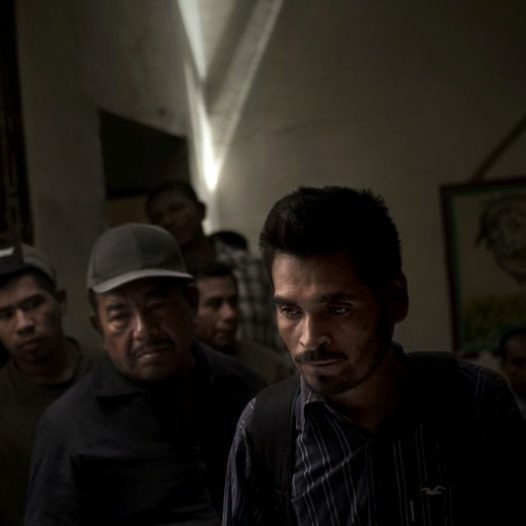 Because of their illegal condition, migrants are invisible victims of kidnappings, violations, robberies, and exploitation from criminal organizations, often hand and glove with local authorities. 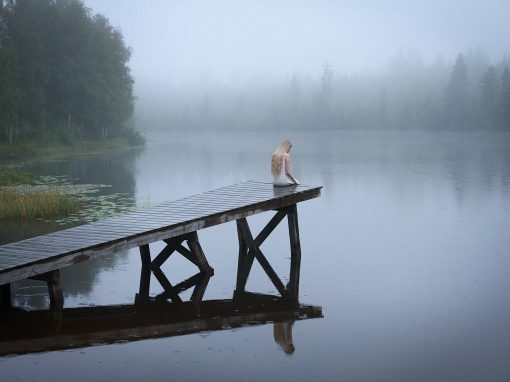 Most of these crimes are unknown by the public opinion and stay unpunished. 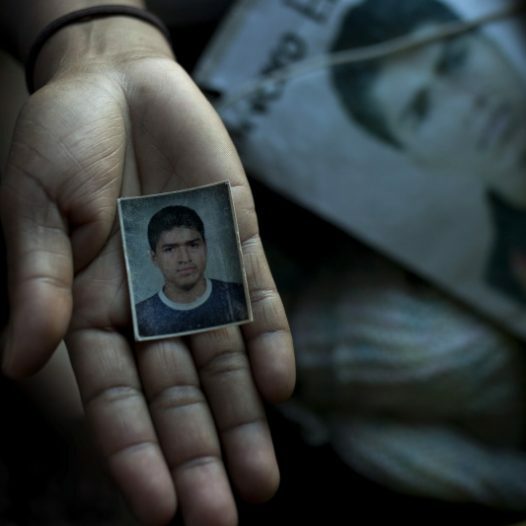 Every year a group of Central-American mothers covers Mexico from South to North looking for their missing relatives, disappeared in their attempt to reach the United States. Dark Passage is a project about the long and difficult odissey that thousands of migrants face in the Mexican territory, in their attempt to reach the United States. Coatzacoalcos, Veracruz, Mexico, 2011 - This little town is an important railway junction. Thousands of migrants travelling on the freight train pass here. 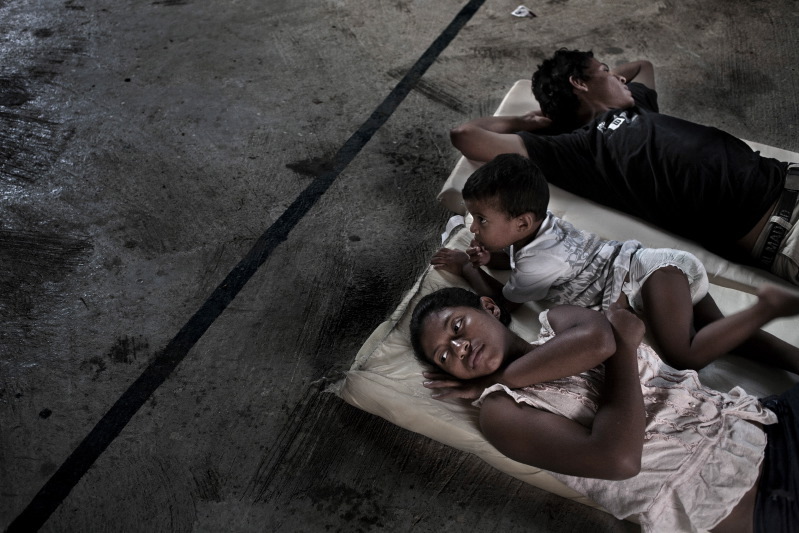 They can have a rest along the streets before restarting the trip towards North Mexico.A family from Honduras rest in a church in the outskirts of the city of Coatzacoalcos. They await for the next train to pass by. 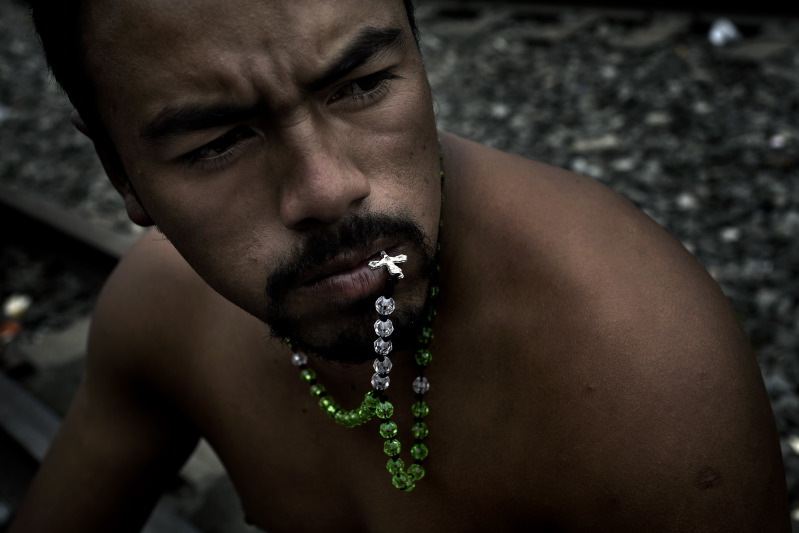 Dark Passage is a project about the long and difficult odissey that thousands of migrants face in the Mexican territory, in their attempt to reach the United States. 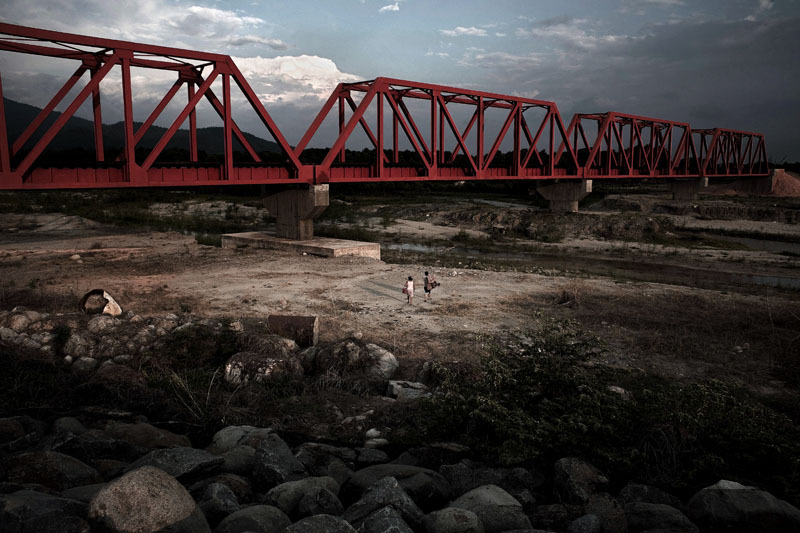 Tierra Blanca, Veracruz, Mexico, 2011 - This little town is an important railway junction. Thousands of migrants travelling on the freight train pass here. They can have a rest along the streets before restarting the trip towards North Mexico. 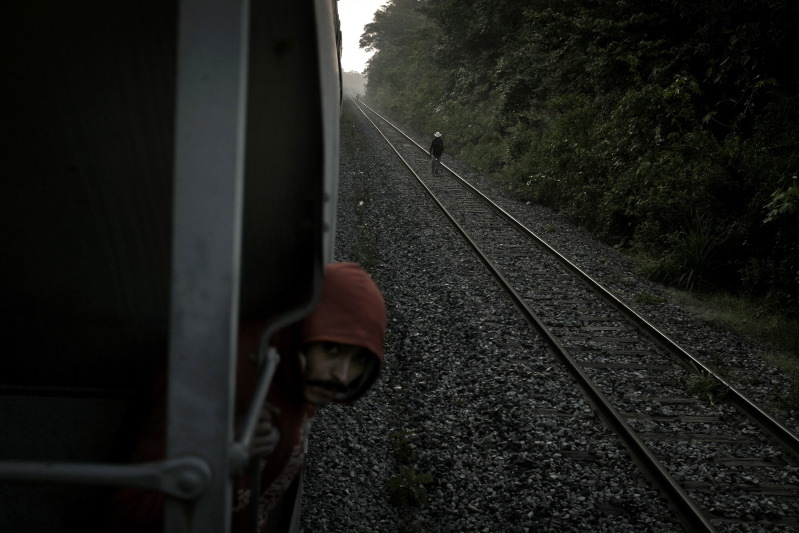 a migrant from Honduras waits on the railway the next train to the north. 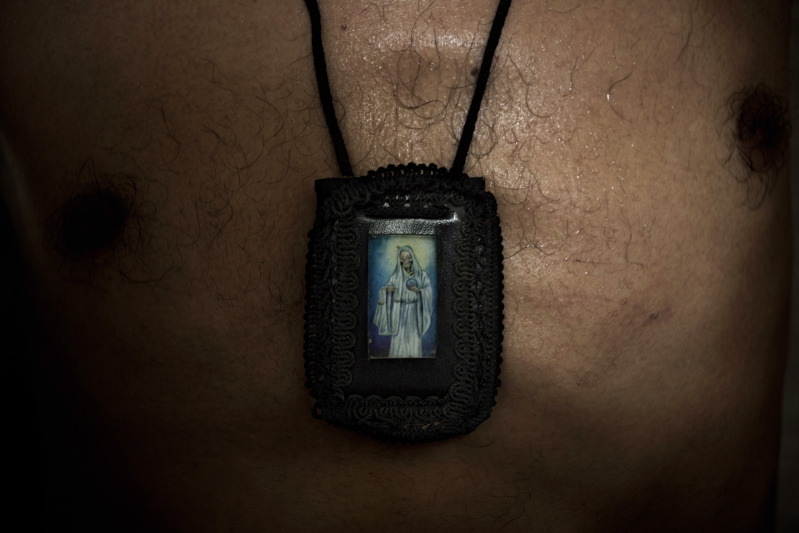 Dark Passage is a project about the long and difficult odissey that thousands of migrants face in the Mexican territory, in their attempt to reach the United States. Messico - Veracruz 2011 Jenny three years old, from Honduras, travels with her mother, Carmen, on the freight train that crosses the State of Veracruz. They try to reach the city of Monterrey, at north of Mexico. 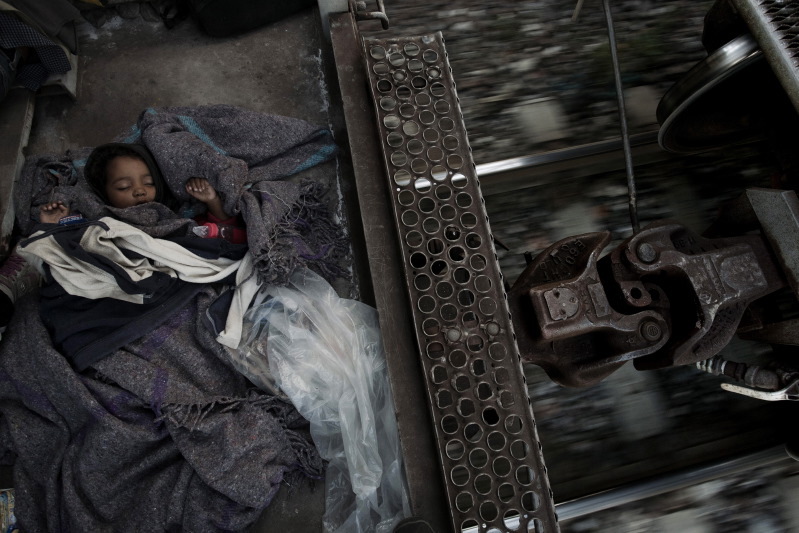 On the freight train that drive along the south states of Mexico towars north regions, every years thousands of central -american illegal migrants, travel on the wagon roofs. risking so their life for reach the border with de Unided States. 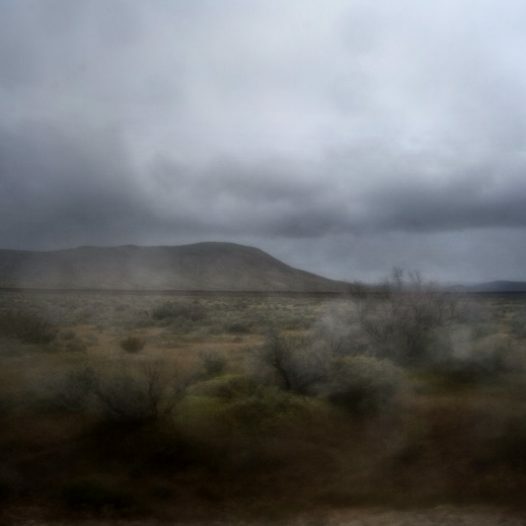 Dark Passage is a project about the long and difficult odissey that thousands of migrants face in the Mexican territory, in their attempt to reach the United States. 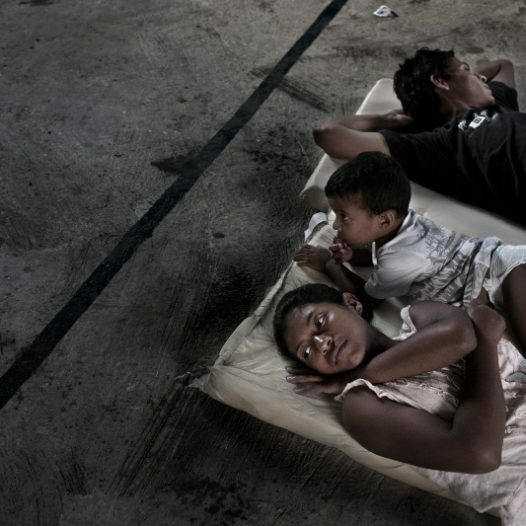 Messico - Veracruz 2011 Some migrants take a rest, wash themselves, and find safe shelter at a church in the outskirts of the city of Coatzacoalcos. They await for the next train to pass by. 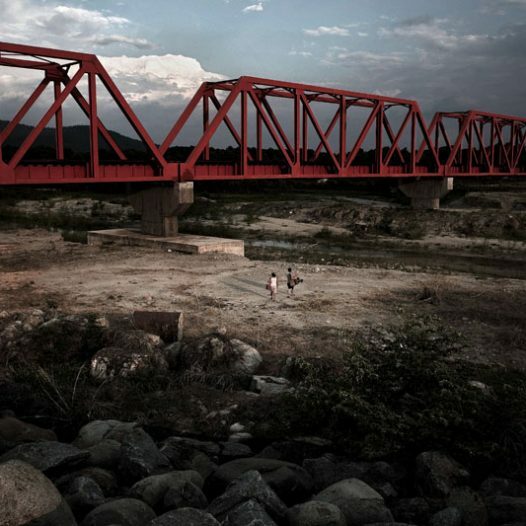 Dark Passage is a project about the long and difficult odissey that thousands of migrants face in the Mexican territory, in their attempt to reach the United States. Mexicali, August 2011 - In Mexicali, a border mexican city, e a group of deportees and migrant rights activists have taken over an old, abandoned hotel, formerly the Hotel Centenario (the Hundred Year Hotel). They've renamed it the Hotel Migrante, or the Migrant Hotel. 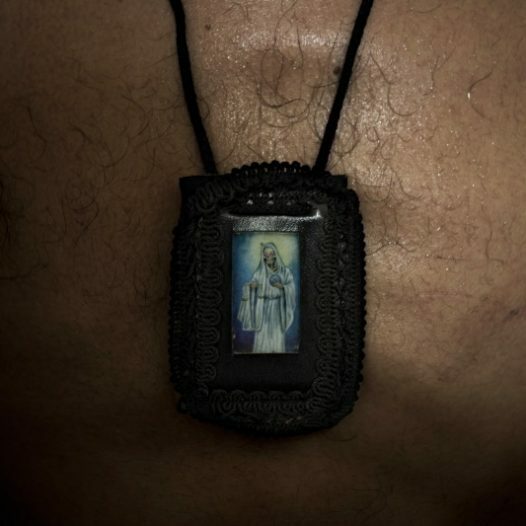 Just a block from the border crossing, it gives people deported from the United States a place to sleep and food to eat for a few days before they go home, or try to cross the border again - On the chest of a deportee, guest of the Hotel Migrante, the image of the Santa Muerte (the Holy Death), a religious-pagan image very popular among Mexican working class people Dark Passage is a project about the long and difficult odissey that thousands of migrants face in the Mexican territory, in their attempt to reach the United States. Messico -Baja California- Jacumè2011At the border area, in the horizon the wall that divides Mexico from the United States could be seen. 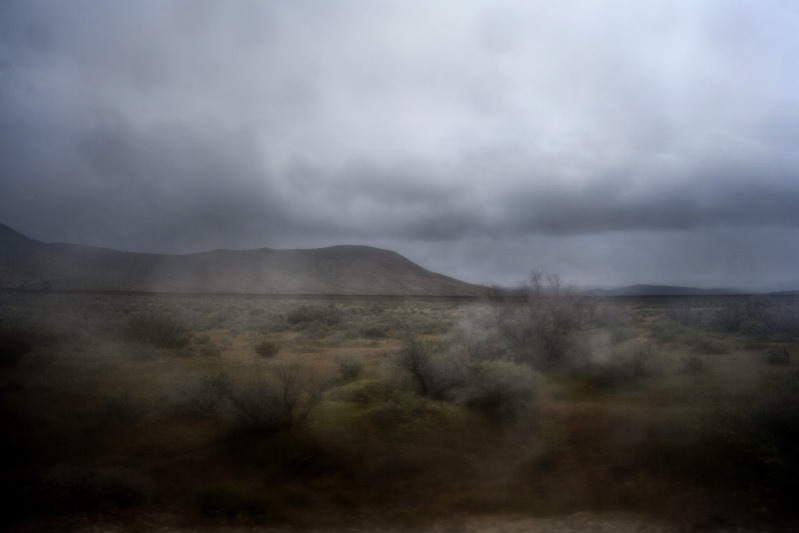 This area of the South of California is one of the places used by migrants to cross the border. 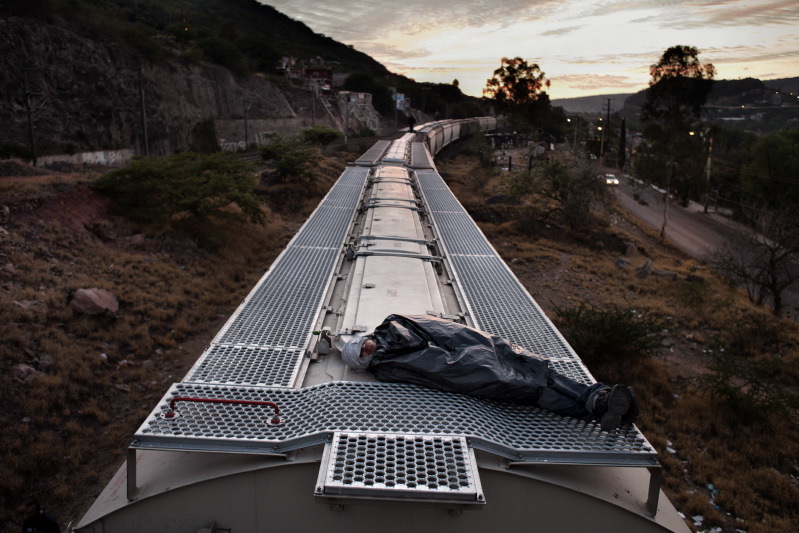 Dark Passage is a project about the long and difficult odissey that thousands of migrants face in the Mexican territory, in their attempt to reach the United States.